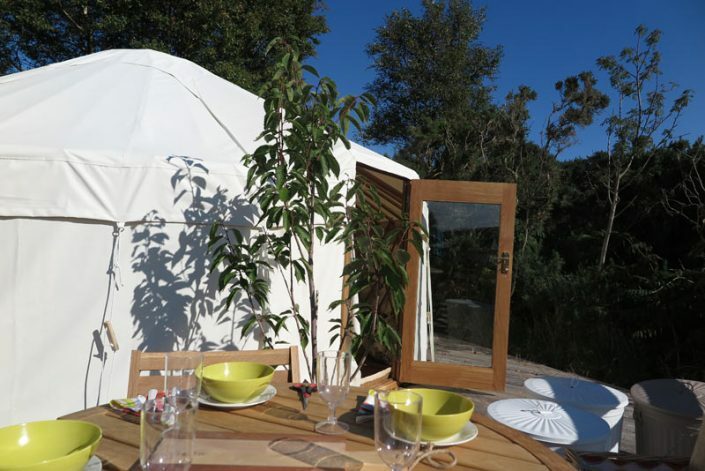 The Yurt at Croft 3 is new for Summer 2018. It has been purpose built in the UK by Woodland Yurts and is 19 feet in diameter. 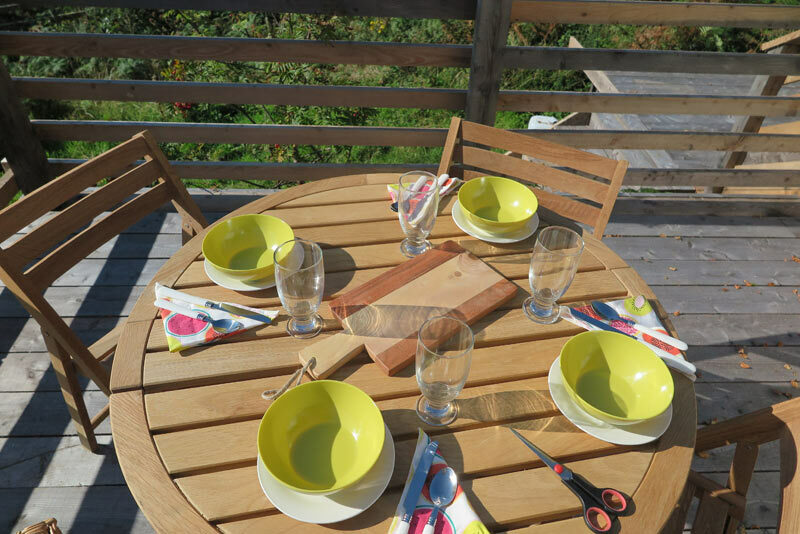 It is located on it’s own platform made from Knoydart timber. 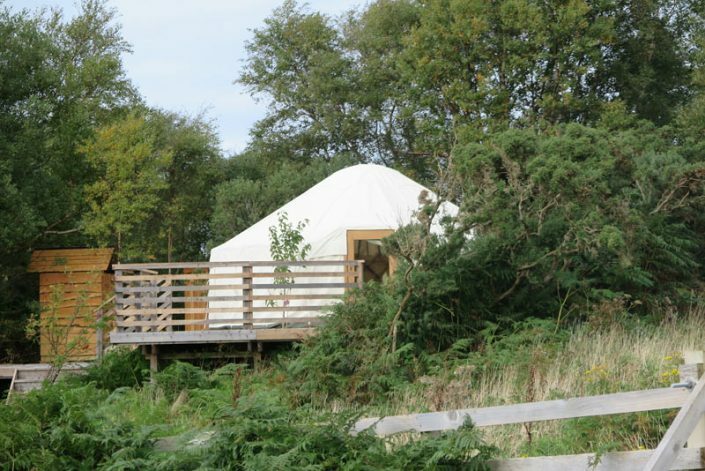 The platform is enclosed within a wooden fence giving Croft 3 Yurt guests a private area (and preventing invasion by the Croft 3 sheep!). The enclosed area is uncultivated and wild flowers, butterflies and insects are abundant in the summer. The main platform is connected by steps and walk-ways to a composting loo hut, a shower hut and a cooking shelter. 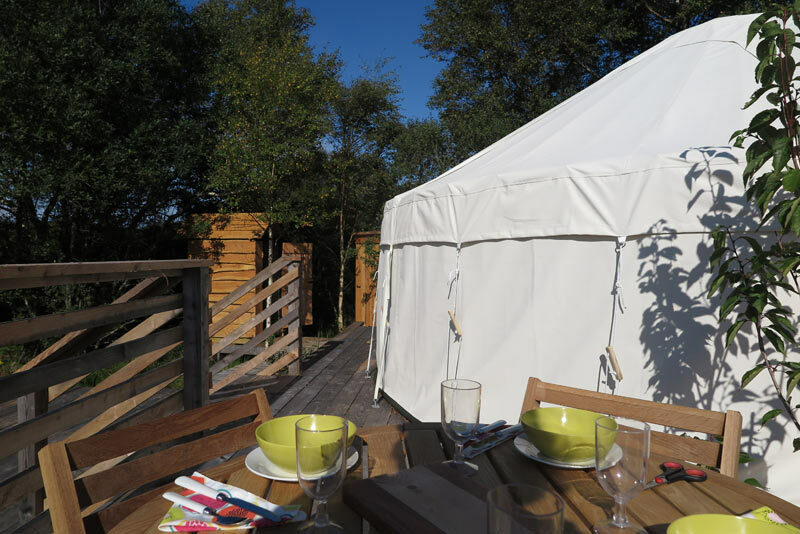 The yurt can accommodate a couple or a family comfortably. There is a double platform bed and two folding out futon beds. An additional airbed can be added for a family of five. It is not recommended for toddlers as the walk-ways do not have railings. 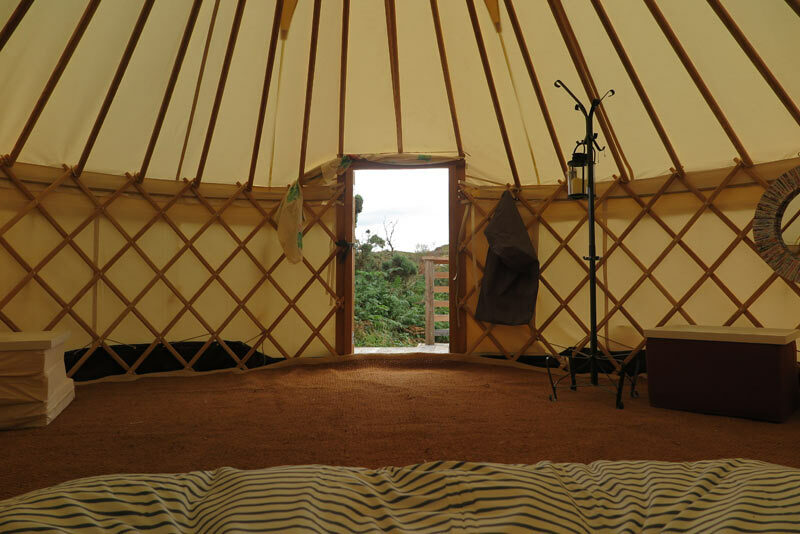 The yurt has a small wood burner for when the weather is cold. 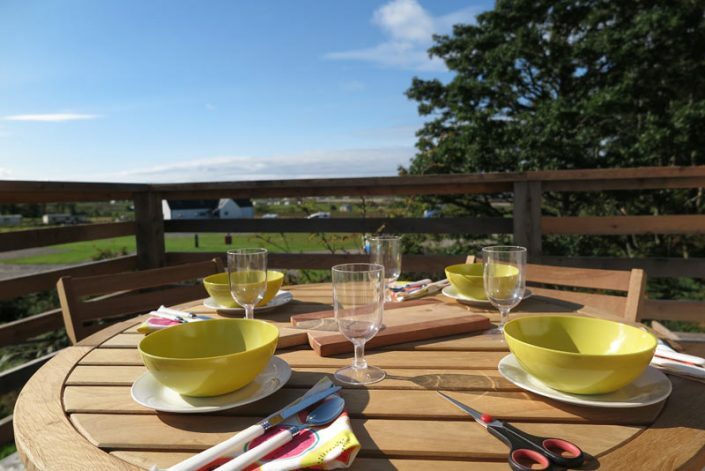 The cooking hut has a double gas camp cooker and is well stocked with everything you need for self-catering. Croft 3 yurt guests also have access to an indoor shower and toilet located in the access to the Main house, a sink for washing up and a fridge and freezer (stocked with cold blocks to keep the cold box in the kitchen hut cool). 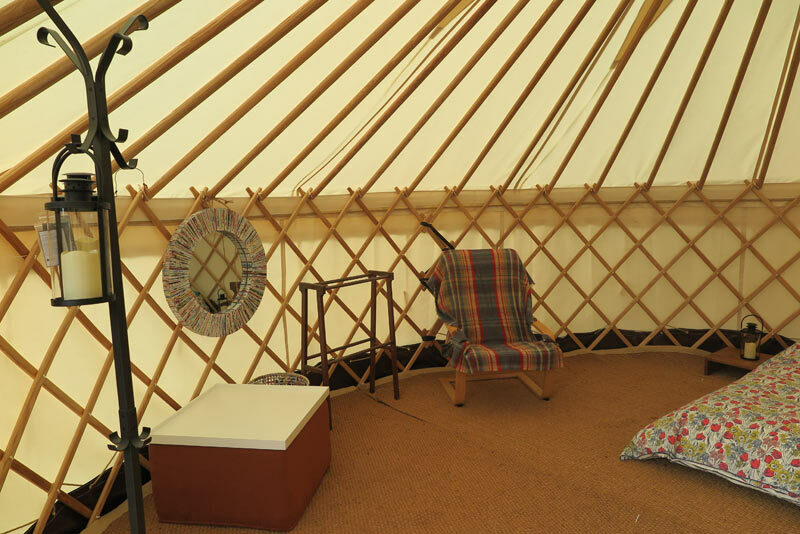 Please note the indoor facilities are about 200 m walk from the yurt and this is the only place you can do washing up so bring outdoor clothing and practical footwear as the weather isn’t always dry! We have a range of wetsuits and some wellies you can borrow during your stay. Please let us know in advance if you want to borrow any so we can dig out the right sizes. 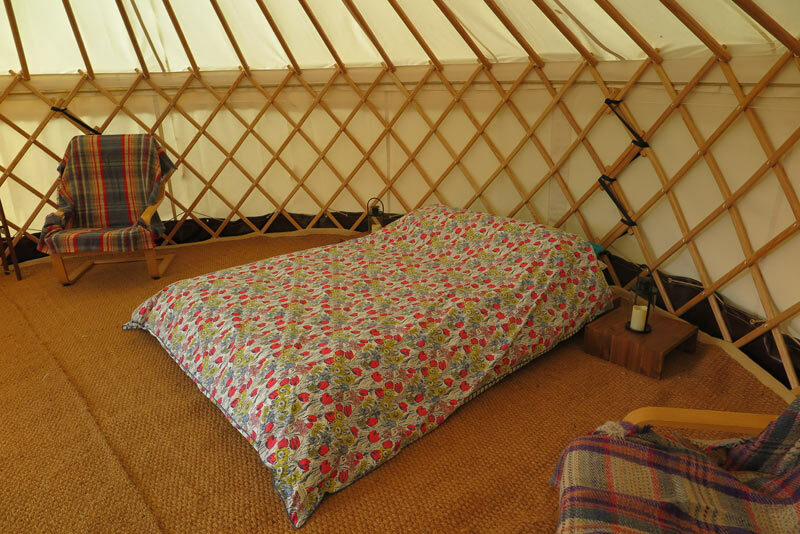 We can also provide beach towels as required and ask that the yurt towels don’t go to the beach!